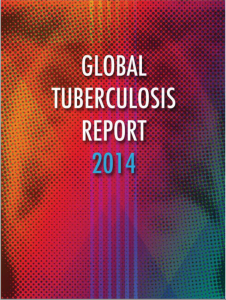 WHO's annual report on Tuberculosis highlights alarming growth in morbidity. Action is needed. New figures from WHO, published in the Global Tuberculosis Report 2014, estimate that 9 million people developed tuberculosis in 2013, up by almost 500,000 in 2012. This is cause for alarm and a call for long-overdue action. Deaths from TB continue to decline at a rate of 1.5% per year, but this is far too slow a rate. Every year 3.3 million cases of TB go undetected, and therefore untreated. If we are to bring the scourge of TB under control, we must develop a clear roadmap to engage all sectors to help identify these undetected cases and get them into treatment. We must also address the critically concerning increase in drug-resistant TB. Only one-quarter of the nearly 400,000 people living with the drug-resistant strain of TB received proper treatment, leaving the untreated to suffer, infect others and most likely die. In too many parts of the world TB rates continue to increase. We know we can do better. We must improve treatment regimens, point-of-care diagnostics, and tracking systems, and develop more effective vaccines. Only through sustained political commitment, endemic country ownership, increased funding, and a unified plan will we realize a TB-free world. I applaud leaders at WHO and the STOP TB Partnership for sounding the alarm and reminding us all that now is the time for action.